Massive Eradication Effort Ends Rodents' Reign Of Terror On Forbidding Isle : The Two-Way Since humans came to South Georgia Island centuries ago, rats have terrorized rare native birds. But an ambitious project, using some plucky canine aides, has cleared the frigid wilderness. Jane Tansell, one of the two handlers responsible for the rodent detection dogs, looks on from the background as a camera captures wildlife on South Georgia Island earlier this year. There are no other birds quite like them in the world. The South Georgia pipit and pintail are so distinctive in the grand pantheon of ornithology, in fact, they draw their names from the one place they've made their home: South Georgia Island, sitting lonely in the forbidding South Atlantic not far from Antarctica. Yet even in such a remote location, surrounded by penguins, fur seals and seemingly endless ocean, the birds have long been besieged by tiny alien invaders: rodents. Since the first European ships arrived in the late 18th century bearing rodents as stowaways, the voracious predators have devastated the South Georgia birds — which, with no trees to nest in, must make their vulnerable homes on the ground or in burrows. Now, after more than two centuries, those invaders have been rebuffed. The South Georgia Heritage Trust announced Wednesday that the island is once more rodent-free, following an international effort that dates back a decade. Using poisoned bait strewn from aircraft and three sniffer dogs, the team confirmed that nearly 400 square miles have been cleared. The SGHT says that's more than eight times larger than the Australian island that used to hold the record for such an eradication. "I must say we were being overly ambitious, almost, in thinking that as a small nongovernmental organization based in Scotland, we could take on this massive task," Mike Richardson, chairman of the trust's steering committee, tells NPR. With the "absolutely amazing" support of the U.S.-based Friends of South Georgia Island, which carried out the vast majority of fundraising, the project managed to bring in more than $13 million. It used that money to deploy several helicopters and thousands of other, simpler devices — as simple as peanut butter spread on a "gnaw-stick" — to attract the brown rats and house mice to their untimely doom. Added to these instruments, the terrain of the area itself helped, too: Its many glaciers and snowfields posed impossible obstacles to the movement of these hardy creatures, essentially making what Richardson calls "a group of islands within an island" that team members could tackle one by one. Still, they were facing down a formidable foe. "When you're dealing with the dear old brown rat," Richardson notes, "you're dealing with one of the most successful mammals on the planet. It can more or less live anywhere, more or less eat anything." 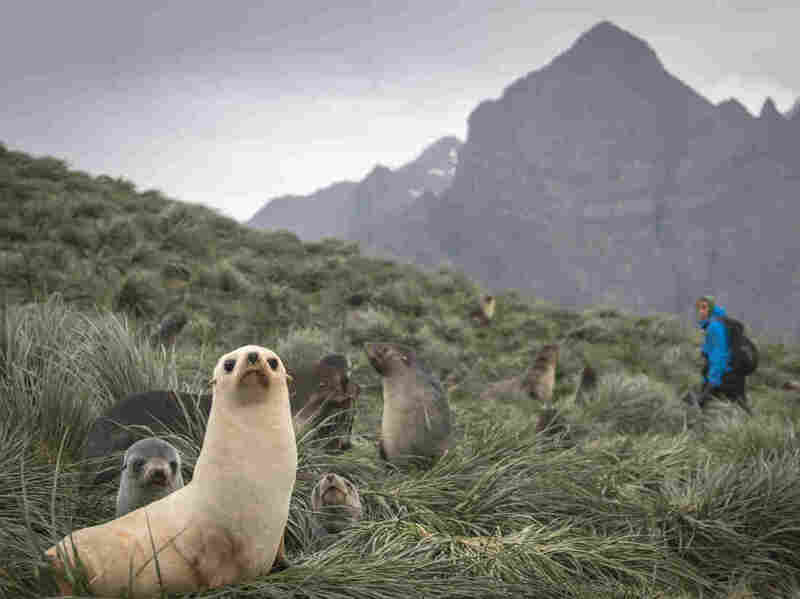 Well — make that two formidable foes: One can't forget the very weather in South Georgia, Richardson adds, "which can be absolutely ferocious" and threatened to completely derail one of the project's four major expeditions to the subantarctic island years earlier. "We had parked two of the helicopters ashore — we thought safely. They were tied down. We came back the next day and found one helicopter had had its blades snapped off and the other was half-buried in the gravel, just simply through the weather conditions. At that stage, we thought this is going to be a failure for this year," he says, adding that though they lost one of those choppers, "we managed to retrieve the situation and keep going." Rat detection dogs Will and Ahu, seen on the job earlier this year on South Georgia Island. The coup de grâce came just months ago, when, after waiting more than two years, the team members returned to determine whether any rats remained on the island. And this time, they had reinforcements: a trio of small sniffer dogs, specially trained in New Zealand to nose out rodents. 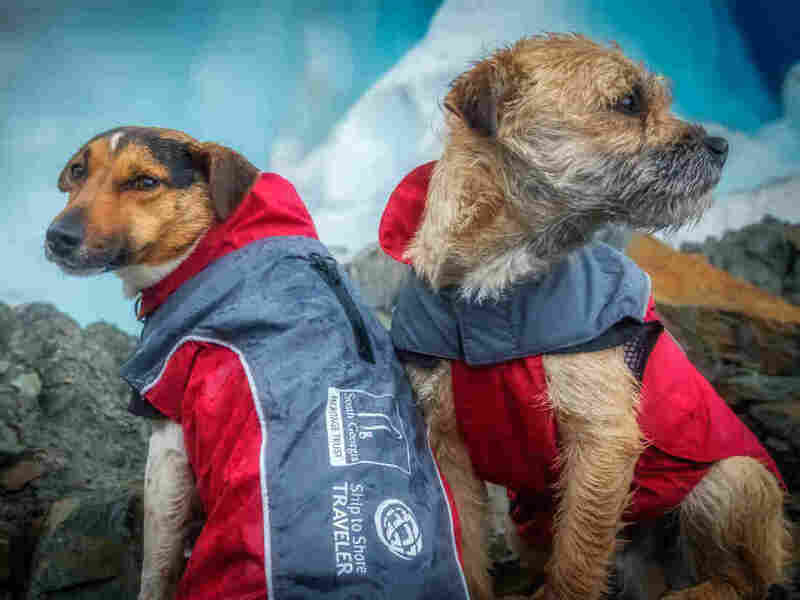 The dogs covered some 1,500 miles in the span of half a year, ranging over the island's mountainous terrain with their two handlers to confirm the happy news the inert instruments were telling the team. And indeed those dogs confirmed it: There were no rats to be heard from. 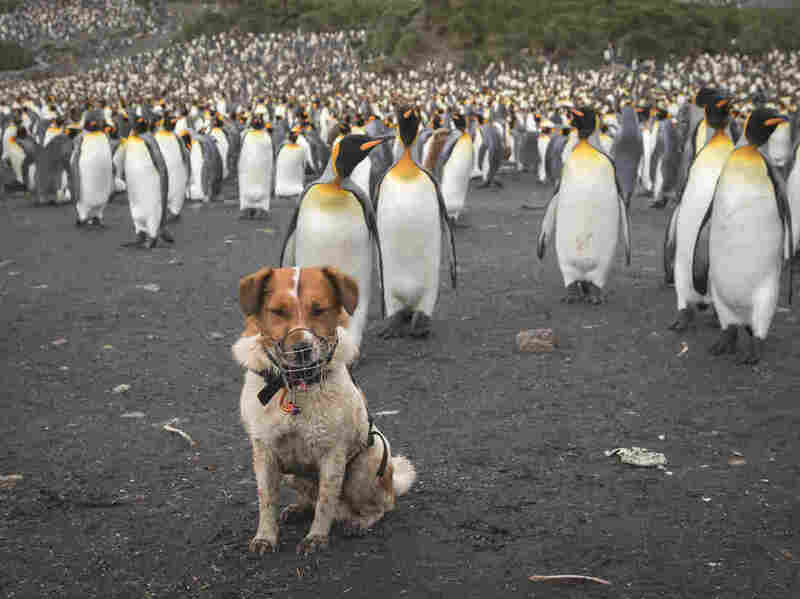 OK, fine, twist our arm: Here's a shot of the third pup, Wai, surrounded by thousands of penguins while on the job at South Georgia's Right Whale Bay in March. What they did hear, however, were some of the birds they'd been seeking to save, the South Georgia pipit. It's the world's southernmost songbird, and in the absence of rodents these past few years, their numbers have grown. So have their decibel levels. 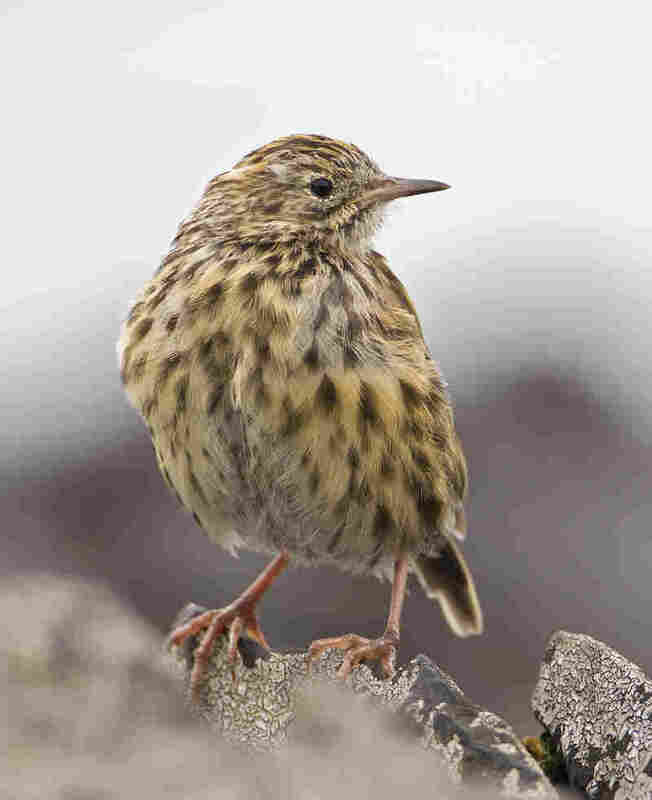 Denise Landau of the Friends of South Georgia visited the island earlier this year, only to find that, according to Richardson, the revitalized pipits had grown so loud they were drowning out the typical chorus you'd hear in the area, the clamorous groans of the elephant seals. The job isn't finished, of course. Thousands of visitors arrive on South Georgia Island each year, which is famed for its natural beauty, and each arrival poses new risks for a rat revival. But the South Georgia Heritage Trust, together with authorities of the British overseas territory, hope to stave them off with stringent regulations and the continued help of rodent-detecting dogs. But for all this removal and prevention, Richardson and his colleagues hope at least one thing spreads: the ambition to return other islands across the world to their natural ecosystems, whether that's the islands of Oceania — which have undertaken several similar efforts already — Latin America or the Mediterranean. "I think people will become emboldened when they realize that actually we were a very small charitable organization, and yet we managed to take on something of such a large scale," he says. "And I hope that will give others the impetus to do similar work."